friends asked how closely related Tracey and I are. After a rough week where he witnessed the last breaths of a poor premature baby belonging to a friend of his sweetheart’s, Master19 came home from uni for some much needed family time. As much as we might want to, we can’t protect our kids, let alone ourselves, from things like this. Nor can we really prepare them for it. 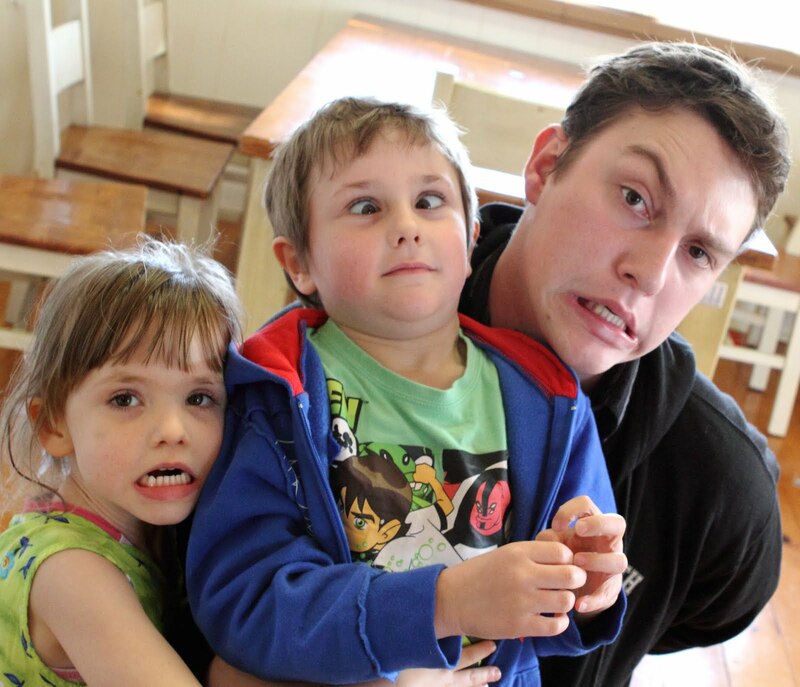 But a couple of nights making funny faces at the camera with his younger siblings seemed to shore him up a bit. Sadly, as we don’t know her at all, I don’t think there’s much we can do for the mother of that dear unfortunate baby except send our thoughts and trust her family will be there for her. It’s no consolation but I guess at times like these we’re forced to take stock and count our own blessings.